Have you ever been online and clicked a distracting post? Or maybe it’s something you told yourself you’ll read later but to be safe you clicked it now and 20 minutes later you’ve strayed from what you set out to do in the first place. Luckily for all of us, there’s a free tool out there that can help eliminate lost time and even improve organizational skill. Pocket is a tool that started out as a service called Read It Later (which was just a fancy application for bookmarking pages). 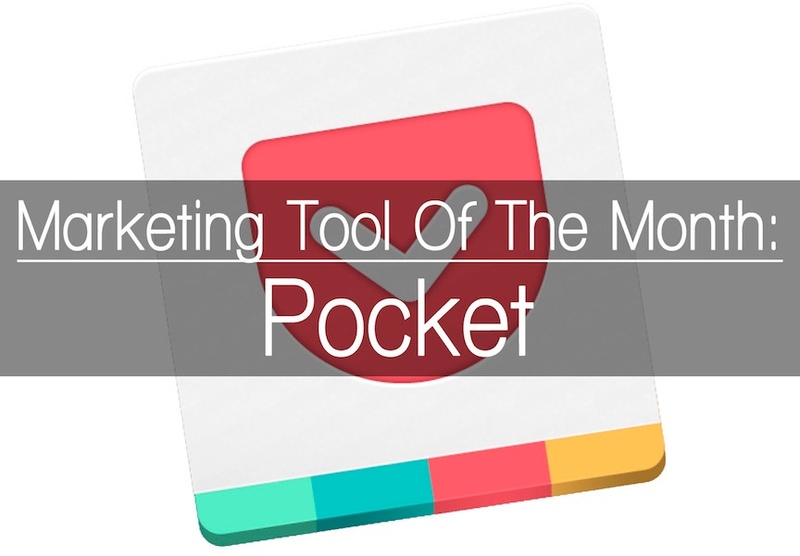 Today, Pocket is used by anyone that has a smartphone or a computer. So what does it do? This application specializes in saving articles, videos, or literally anything with a URL. You create one account and start plugging in different applications. (There's over 1500 different apps.) You can use the app with any smartphone (iOS and Android) or use a computer to start browsing the Internet like normal. Fortunately for web browsers, a simple extension streamlines the whole process. Saving an article to read later takes one click. Pocket doesn’t bother with questions, it saves the article and you can move on. For an example, early in 2017 we created a campaign around influencer marketing. To ensure that we weren't overlooking any key details, we spent some time enhancing our knowledge base. While research creates knowledge in the person doing the research, by itself it is not creating knowledge transfer. This is where Pocket comes in to play. Any website, blog post, video, etc. we found relative, we simply clicked the Pocket extension (which we downloaded for our browsers) and the post is saved and tagged. (You can have more than one tag.) Any time we wanted to see what’s in our library, we click the Pocket button and can see all the content in a clean and organized format. As a content creator, this tool can be extremely helpful. 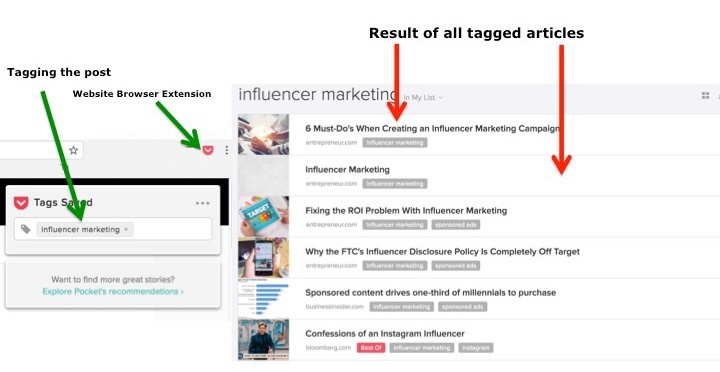 For similar reasons, when you’re doing your own research or want to create a library of case studies, infographics, or maybe even videos, simply tag the article and save them in seconds. "The Recommended feed is your single place to quickly find the stories that matter to you. These stories come from two places: Pocket’s recommendations that are personalized just for you, and recommended items from the people you decide to follow on Pocket." The Explore feature allows you to: "Browse a list of the best all-time articles and videos from all over the web. 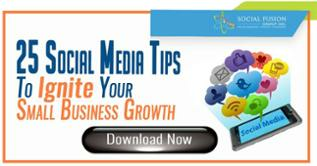 Save them to your pocket to read them later and get interesting recommendations." Since we appreciate you taking the time out and reading our post, we’ll give you a little secret. Every month, our team publishes the best articles of the month. Our secret? It’s the best posts we saved in Pocket that month! 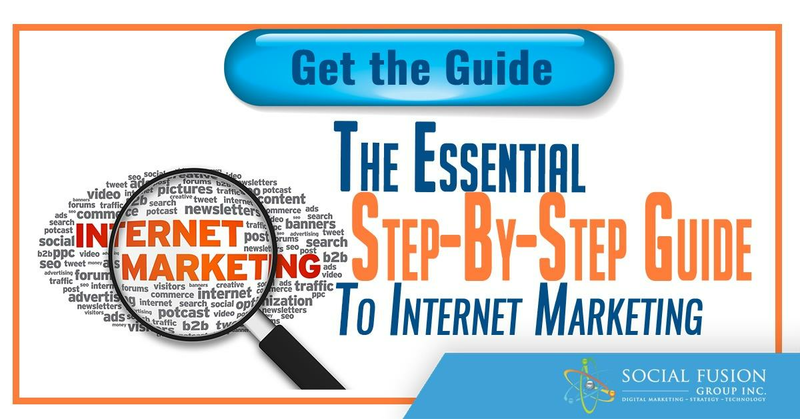 It’s so easy that it takes only three steps! Creating content has never been easier. This simple tool helps alleviate the time and pressure of thinking of blog ideas (just look posts you saved for ideas), creating a blog post (look at how your saved posts are formatted), and optimizing your article (look for the winnable keyword that sticks out). Do you have a favorite marketing tool? Tell us in the comment below or connect with us on Facbook and Twitter!